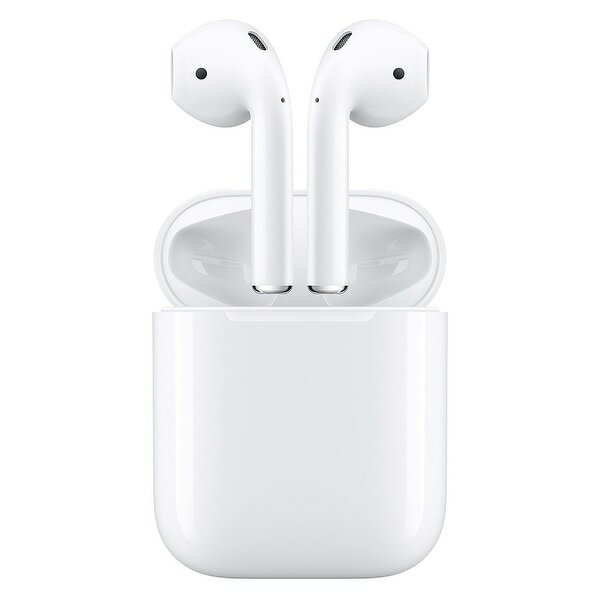 These Apple air pods are the second set I purchased from Overstock. Even though they are a bit more expensive on here, I always use Overstock’s club O rewards. I have 2 very happy grandchildren that received these from me. We are a leading wholesaler in consumer electronics. With our ability to buy product in bulk we are able to offer our customers the best prices. For customer service inquiries or to initiate a return, please contact CE Overstock at support@ceoverstock.com or (774)507-0801. Dimensions 2.0 In. X 1.0 In. X 1.0 In. One of the best accessories you can have with any iPhone. Not only does it provide wireless support, these air pods can assist with just a double tap on the AirPod. Keep in mind that your voice has to be pretty clear and your background free of noise. Some of the best features that I use on a day to day basis is; wireless connectivity(being away from my phone for up to 30-40 feet of open air way), Siri intelligent assistant with just a tap on the AirPod, having a pod case to charge up the AirPods when not in use, and able to have one pod in when the other on charges up. Very much well worth the purchase. Love them! Connectivity and sounds quality is great. I use them all day long for work calls and listening to music/podcast at night. Case charging last me for a couple days before I have to re-charge. Love my AirPods! Long battery life? Automatically connects to my iPhone with auto detection and the charge case charges them up from 0% to 100% within a few minutes! No exaggeration! Makes life so much easier when driving as well! Can charge your phone while still utiliizing your phone features! I was skeptical of the authenticity of the apple Airpods but rest assured they are authentic apple products. These are very compactly stored and work very well. Excellent sound quality. Stay in the ears with activity and do not make your ears sore like other ear buds after certain amount of time. Easy to charge and sync with devices. Would recommend product again and again. The distance between the device and airpods is also impressive. Best buy I made. the sound quality is top notch. 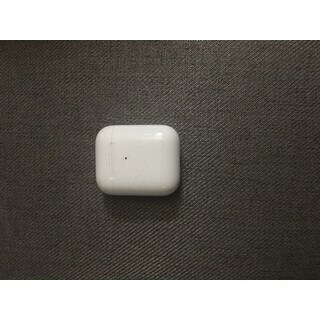 The charging case makes the life of the Airpods last a long time. I use them EVERYDAY!!! I love my AirPods! They came quickly and now I can’t function without them :) you can tap them to activate Siri. I listen to one and it lasts well past lunch time before I have to switch. It is also awesome how they charge in the case. They come in handy! Very good sound also! Would buy and recommend again!! I tried the earbuds with wire but these hands down are the most comfortable and convenient. I walked to the mailbox while wearing one and I still could hear my music! How cool is that! Guys everyone should own a pair if you have an iPad or iPhone. The only thing Apple could have done is maybe a bit smaller and cheaper! Wishful thinking! Also did I mention phone calls come through loud and clear. Once you answer and hang up your music continues to play where you left off. It would not hurt for Apple to carry these in multiple colors maybe that’s down the line, we will see! Awesome product!! I wouldn’t get anything else. It connects right away and I can listen for hours to my Apple Music or answer my calls hand free. I would recommen it to everybody!! So glad I made this purchase. The AirPods are great, stay charged for hours of use and recharge within 15 minutes. I couldn’t be happier with these air pods. The regular Apple earbuds hurt my ears and fall out easily. I shake my head, jump up and down, and lay my head on my pillow—they stay! And they are super comfortable. LOVE THEM!!! I was extremely happy to see that you offered these, and getting a small credit line to pay for them overtime was a huge plus!!!!! Love them. Stays in ears perfectly. Great sound quality. I use these everyday. I love them. This is an authorized Apple seller. You get authentic products that work exactly as advertised! Bought these for my son he loves them. Amazing quality compare to others he had. I love the AirPods! Comfortable and clear...however, you must be careful not to lose them! "What is the difference between these and the other product that is for sale? They seem like they are the same thing. Also, will there be more in stock? " "I hope they are smaller than the Chinese knockoffs. Are they same size as wired pods ?" "Are these licensed apple ear phones? also would they come with the year long apple warrenty as well?" Teenage son asked for the product as a birthday gift. Price was great! It’s a gift for my son’s Birthday for when he’s working out. "Can these be used with non-Apple phone?" Most definately. I don't have a phone yet but I use it with my iPad and they can also be used with the apple watch. I just love them. Sorry I didn't see the non on the question. I have a Samsung note 4 and i've haven't been able to connect with them through the blue tooth connection. Maybe some of the newer phone will work i'm not sure. Sorry for the first answer. "Is this product brand new and in factory sealed packaging?" My order came new sealed with the wrapping still on the box, everything included inside packaging.